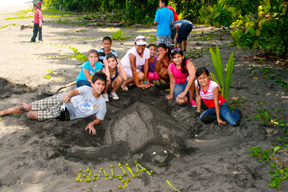 The project is located a remote Caribbean beach in Costa Rica, 2km north of the Pacuare river mouth. It covers 7.1 km of coastline of a black sand barrier, surrounded by tropical rain forest and several coastal lagoons and palm swamp forests. 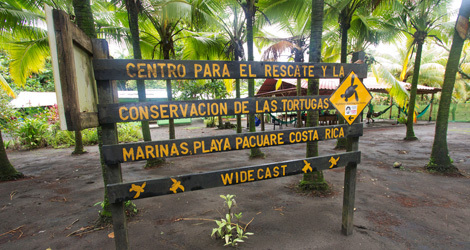 The beach is part of the 50 km stretch between Tortuguero National Park (famous for its sea turtles) on the north Caribbean coast and the Port of Limón city. 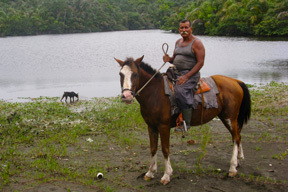 Fresh water canals and the tropical vegetation in Pacuare provide habitat for an abundant quantity of birds, mammals as monkeys, tamanduas, racoons, coati, sloths, but also for manatees and fresh water dolphins, turtles, crocodiles and iguanas. The area is not only unique in every way, but is also a famous nesting site for many Leatherback, Hawksbill and Green sea turtles that come ashore to lay their eggs. 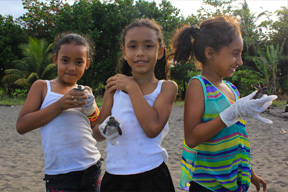 Illegal egg poaching and hunt for sea turtles, pollution and beach erosion are threatening the survival of the already critically endangered Sea Turtles in Pacuare. This has caused an alarming decline in turtles being born on this beach. In particular the 7.1 km covered by the project, for it has no legal protection whatsoever. 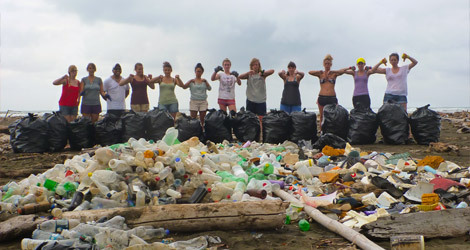 Volunteers play a very important role in changing the vanishing of the turtles. 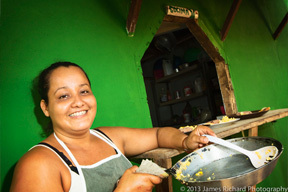 Remember we do not have standard electricity (we use solar panels), there are no grocery stores, no roads, and no public phone service or internet facilities. 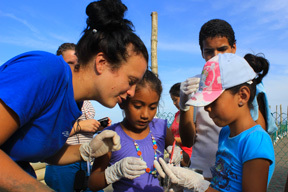 Between March and November volunteers, international research assistants and local research assistants of the community of Pacuare will patrol the beach in three sectors (ca. 2.4 km each) and two shifts from 8 pm to 12 am and 12 am to 4 am. It will take at least 4 hours to patrol the beach effectively and if a nesting turtle is found, the eggs will be collected and relocated into a hatchery. 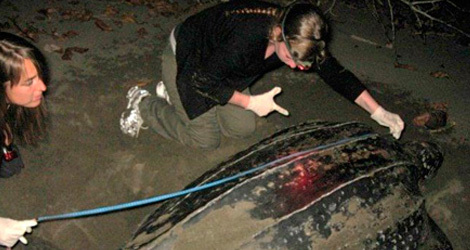 The turtle work will be done following an official protocol and involves tagging, taking biometry and other important data of the nesting female. Former poachers using their know how and now trained in conservation techniques together with previously trained volunteers carry out the important work and are also responsible for guarding the nests at the hatchery and releasing baby turtles. The hatchery is an area prepared, cleaned and fenced on beach, exactly located on correct beach zones to relocate the nests by specie. This enclosure needs protection 24/7 and you will be involved in this work, by 6 hours shifts. You will expect training to relocate nests in this area, take environment physic and biological parameters. 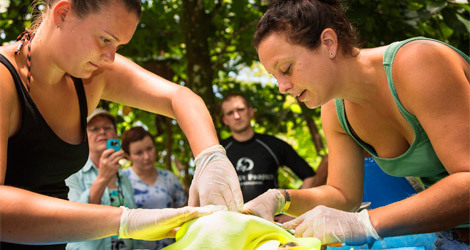 At the rescue center you will help caring for recuperating turtles as well as maintaining the facilities. Additionally, volunteers are involved in the daily operations to keep the running of the project smoothly. 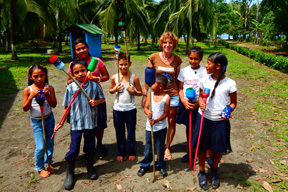 The remoteness of Pacuare beach and the basic living conditions at the project site offers an exclusive condition for volunteers. The lack of electricity, phones, cars, shops and other modern life facilities enriches the quality of an extraordinary experience and allows connecting people with nature, creating the best environment for making a difference in the life of these amazing creatures – the marine turtles. We use the off-season (Nov to late Feb) for maintenance work of the project and for preparations for the next turtle season. This involves basic constructions, gardening for beach cleaning amongst others.